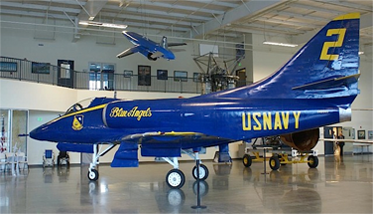 The Aerospace Museum of California is one of aviation’s greatest showcases within a spacious modern facility at McClellan Business Park in Sacramento. The Museum provides a world class opportunity to learn about and celebrate aviation’s past, present and future. The Museum’s 37,500 square-foot Hardie Setzer Aerospace Pavilion includes a massive exhibit hall, flight simulator room, and a four acre Air Park featuring a variety of historic and military aircraft. The Musuem has drawn over 250,000 visitors annually. For more than 160 years, the California State Fair has showcased the best of California hosted at Cal Expo and it’s the largest annual event in our region. The seventeen-day California State Fair is a robust celebration of the State of California, its industries, agriculture and diversity of its people. For many the State Fair is the culmination of hard work throughout the year. 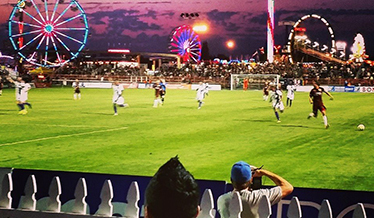 For others, the State Fair is a family summer tradition of enjoyment with plenty of entertainment, fascinating exhibits, popular livestock venues and mouthwatering food! 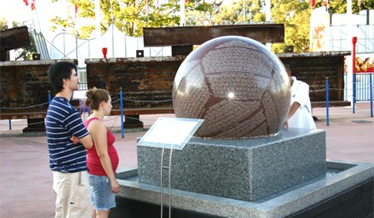 The construction of the memorial at Cal Expo began a year after the attack when Cal Expo board member Larry Davis personally acquired and donated to Cal Expo 125,000 pounds of wreckage from the World Trade Center. A massive I-beam extracted from Ground Zero, which had been a horizontal support beam from the North Tower, was among the debris. Davis personally arranged to be shipped via rail to California. Through private donations to the California State Fair Memorial Plaza Foundation, a 501c(3), the exhibit has been expanded to include additional elements. Central to the exhibit is a beautiful fountain including a granite ball inscribed with all of the names of the September 11 victims. Additional features include a carillon bell tower, reflections of the World Trade Center, and individual memorials to Flight #77 which crashed into the Pentagon and Flight #93 aborted in a field in Pennsylvania. This permanent structure at Cal Expo is open to the public during the California State Fair, on September 11 each year, and upon request of the Administration/Event Planning Departments. In 1992, the Sacramento Police / Sheriff Memorial Foundation as formed to perpetually honor Sacramento police officers and sheriff’s deputies who have been killed or have died in the line of duty. 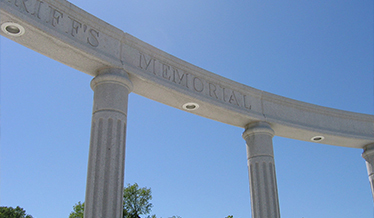 After nearly 10 years, the actual Memorial was completed and dedicated within the Woodlake Park, located at 500 Arden Way in the City of Sacramento. Unfortunately, the names of 31 law enforcement officers from the Sacramento Police Department, the Sacramento County Sheriff’s Department and the Sacramento County District Attorney’s Office are enrolled at this Memorial Site. Annually, the Sacramento Police / Sheriff Memorial Foundation remembers the fallen officers enrolled every May in a small Remembrance Ceremony held during the California Peace Officer’s Memorial Week. 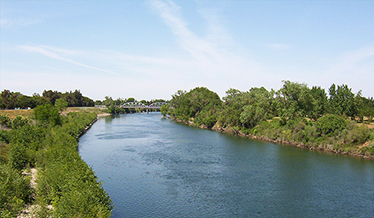 Welcome to the “jewel of Sacramento,” the 23-mile American River Parkway from the confluence of the Sacramento River up to the Folsom Dam. More than 5 million visitors enjoy this unique wildlife and recreation area annually. Fishing, boating and rafting opportunities lure water enthusiasts. Picnic sites, golfing, guided natural and historic tours and much more are often just steps away from the paved trails. Access to the Parkway is available at various points off Point West, Arden Arcade, and along Highway 50. Visit California is a nonprofit organization with a mission to develop and maintain marketing programs – in partnership with the state’s travel industry – that keep California top-of-mind as a premier travel destination. According to Visit California, spending by travelers totaled $126.3 billion in 2016 in California, generating 1.1 million jobs in the state and $10.3 billion in state and local tax revenues. This website and any materials produced by Visit California are created at no expense to taxpayers.